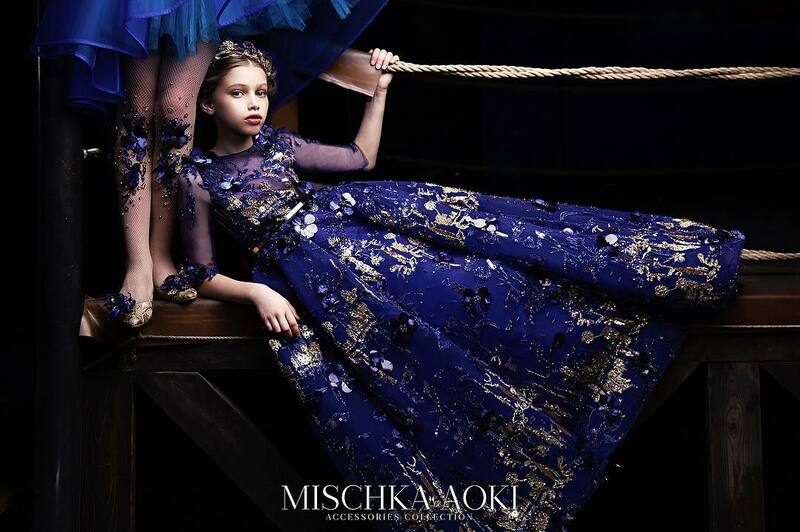 Monnalisa unveils a unique collection of roses and sequins that come together with your favourite Disney heroes. These pieces can be worn at any time, day or night, and at any age. 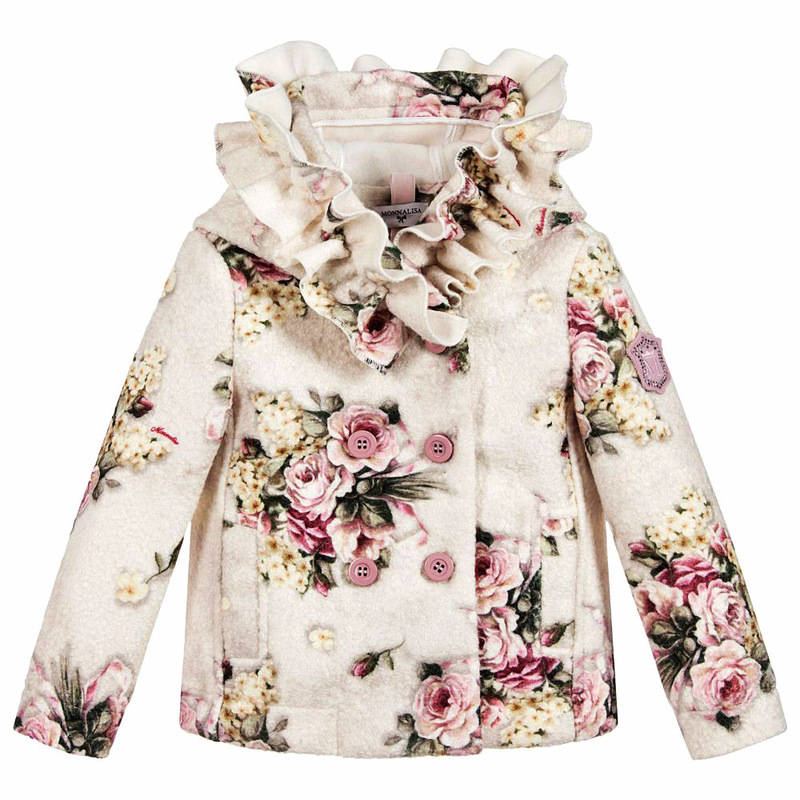 A soft bouclé jacket for girls by Monnalisa. This pretty jacket is decorated with a pink rose print and sparkly branded patch. It has a lovely large ruffle detailed hood to help keep out the cold. Lined in soft fleece, the sleeves are lined with silky soft fabric for ease of dressing. 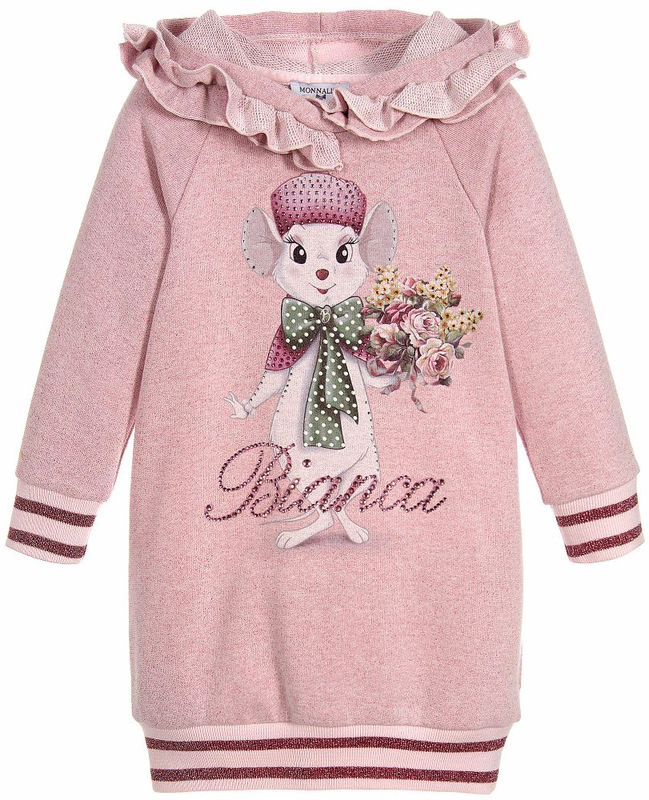 Girls pink hooded sweatshirt jersey dress by Monnalisa, with Disney's Miss Bianca from 'The Rescuers' story. It has ruffles around the hood and striped, sparkly ribbed trims. 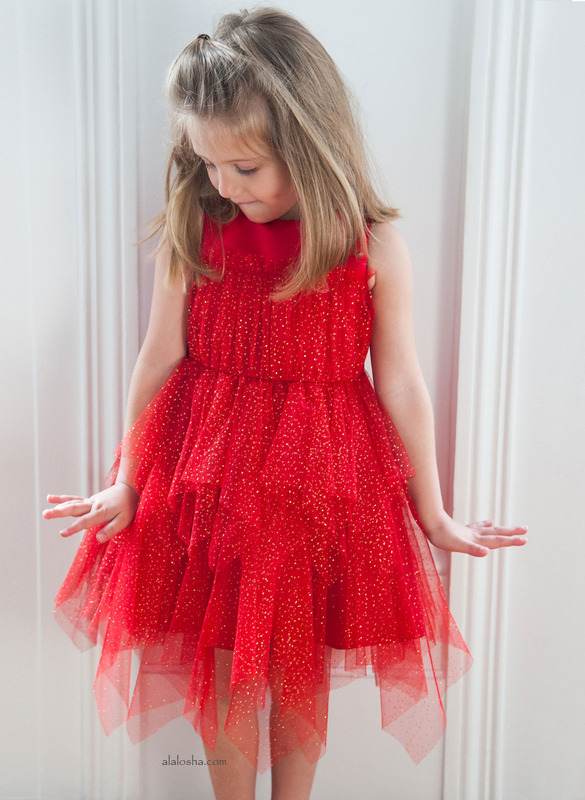 Girls gorgeous pink dress by Monnalisa, made in thin, luxuriously soft neoprene. 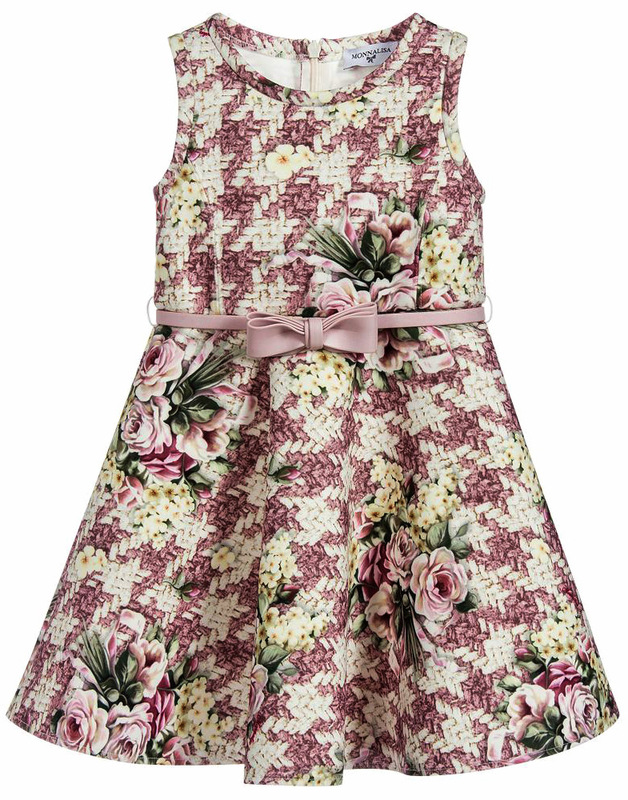 It has a pretty green, pink and ivory floral pattern and a removable pink belt. 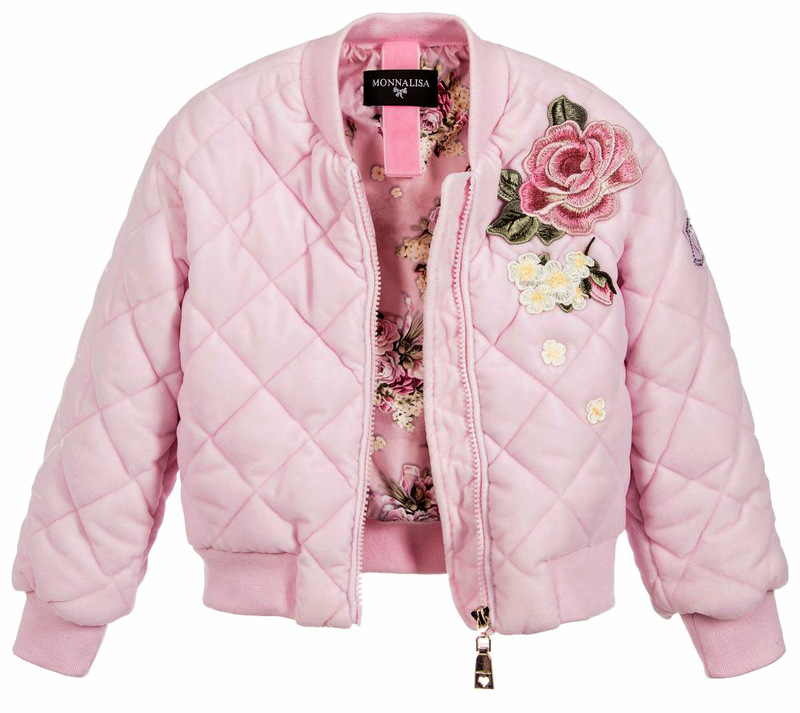 A soft quilted bomber jacket for girls by Monnalisa made in lovely pink velvet. It is beautifully decorated with rose embroidery and has two little pockets which fasten with concealed zips. It is fully lined in a silky floral fabric for added comfort and fastens with a gold branded zip. 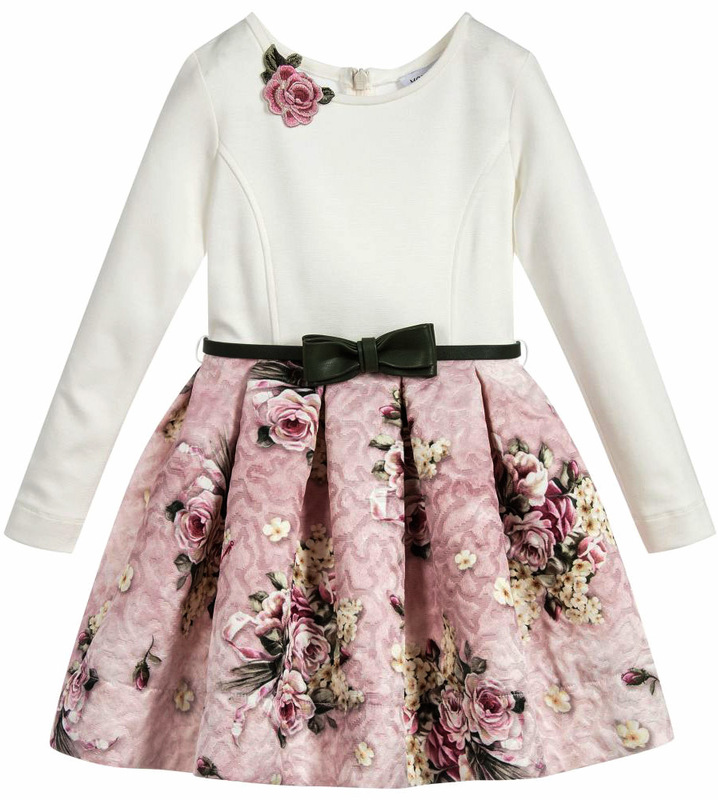 A gorgeous ivory and pink dress for girls by Monnalisa, made in soft and stretchy viscose jersey with an embroidered rose appliqué on the neckline. The pleated skirt is made in soft satin brocade, with a viscose flannel lining and adjustable green belt.